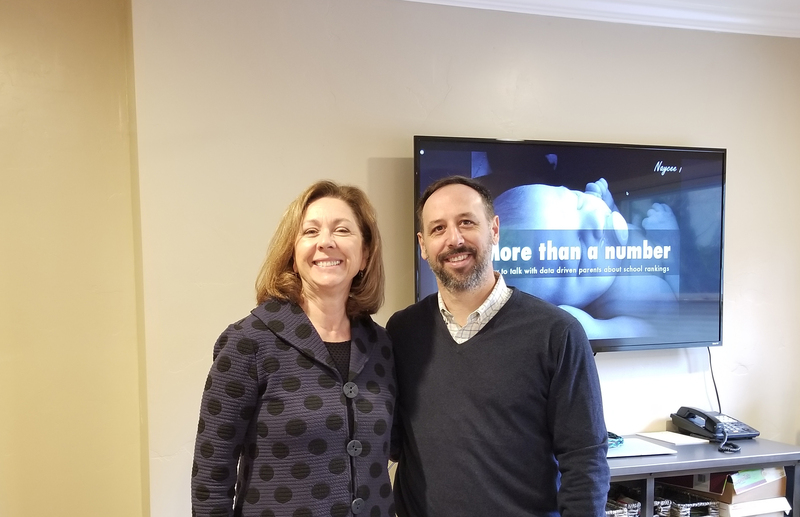 Former Redwood City School District Director of Communications, Naomi Hunter, joined our weekly networking meeting last week for a discussion on the influence third party school rating systems (like Great Schools) can have on parents perceptions of local schools. Though Naomi no longer works for the Redwood City School District, she currently runs her own independent PR firm working closely with various school districts. She maintain close ties in the education community and has presented on this topic at state and national conferences for the National School Public Relations Association. The problem that Naomi sees with these third party services like Great Schools, is that there is often a disconnect between their ratings and the actual quality of our schools. They tend to be unfair to schools with a higher student body diversity, and don’t paint the full picture of a school’s true strengths and weaknesses, the programs they offer, and the efforts underway to improve. Naomi was joined by Alisa MacAvoy, who serves as a Board Trustee for the RCSD as well as a board member of the Sequoia High School Education Foundation. As an active board member, Alisa is in constant touch with local residents about their perceptions of and experiences with our school district, and is able to take what Naomi presents from the theoretical to the real experience of our community.